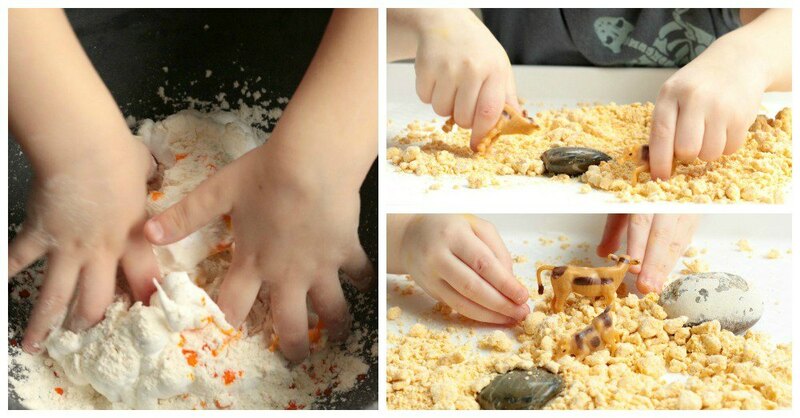 For those days you want some fun inside sensory options, try out this DIY kid-safe play dirt! My kids love sensory activities. They will play just about anything as long as it is messy. One of their favorite sensory experiences is dirt. However, for many reasons, I don’t always like them to play in the dirt. 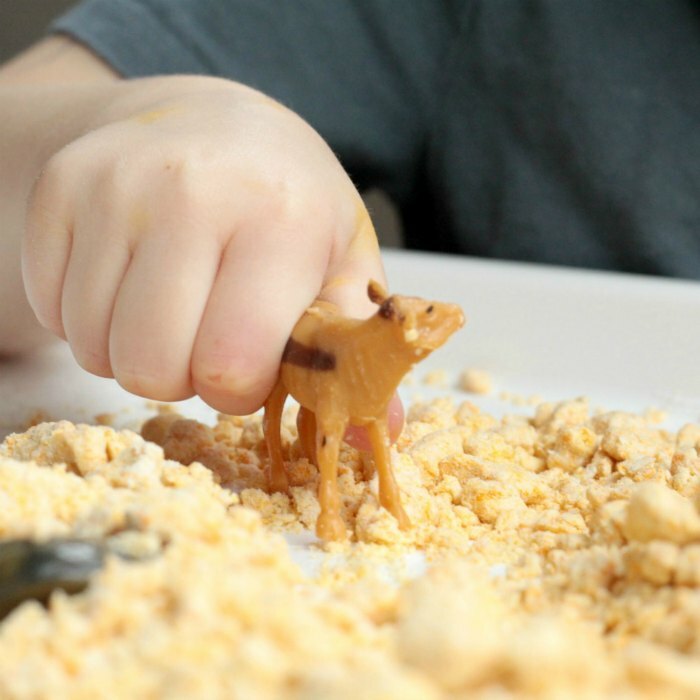 Bugs, germs, and bacteria hide in dirt, making it not the best choice for sensory play. And, living in Chicago, dirt isn’t always accessible (but snow is). 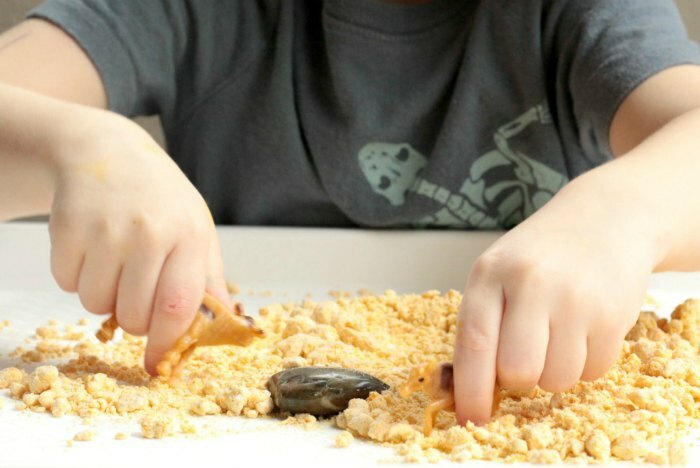 Instead of traditional dirt, we made this dirt-like dough that help my kid’s attention for hours. This post contains affiliate links. 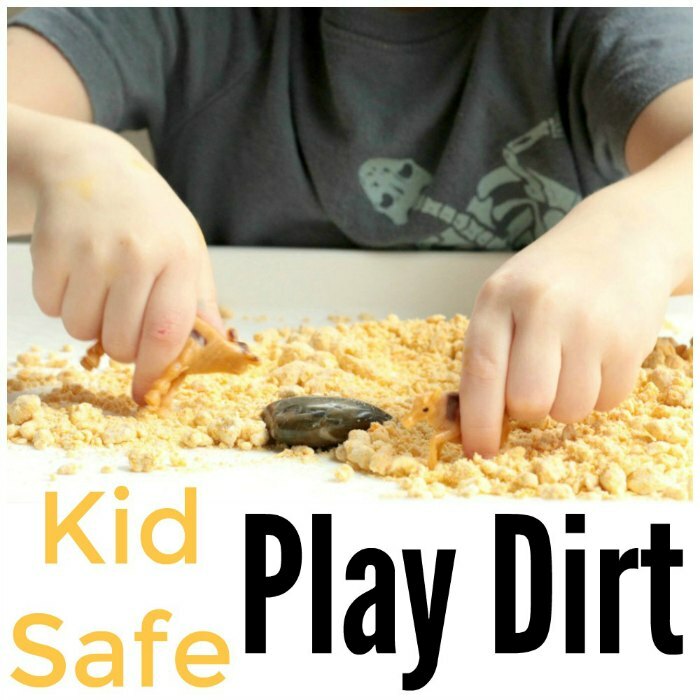 Follow these tips to make your own kid-safe play dirt! Please note, this recipe is not taste-safe, so it should not be used with kids who will put the dirt in their mouths. 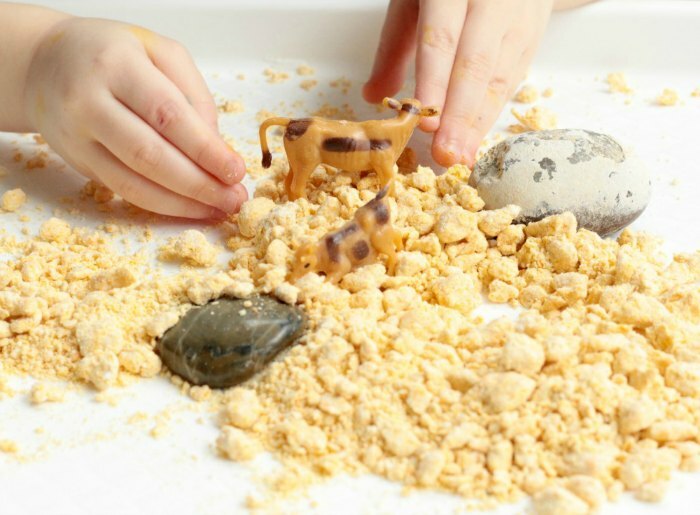 You’ll love how simple this play dirt is to make. 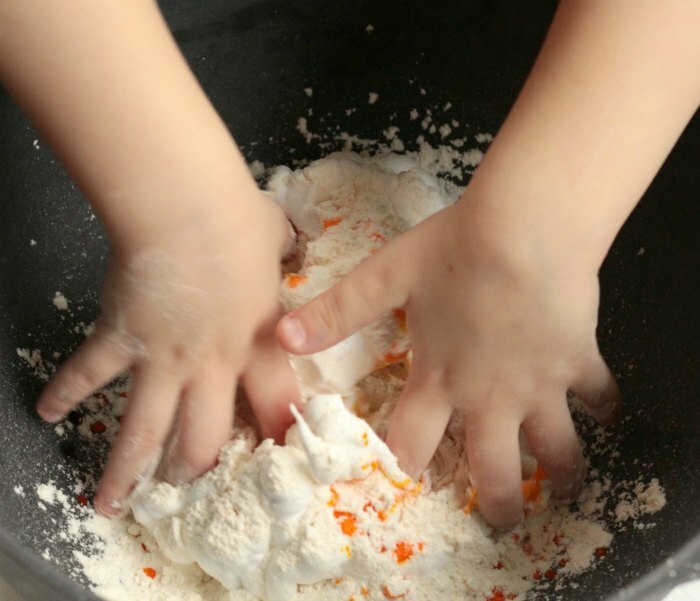 All you need to do is mix about equal measurements of flour and shaving cream (depending on humidity, you may need to raise or lower the amount of either ingredient). 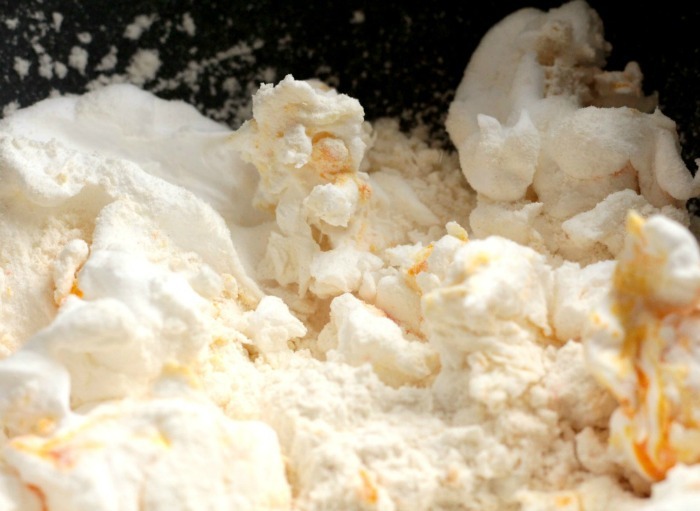 First, we mixed our flour, food coloring, and shaving cream until it had the consistency of play dough. Then, we added a bit more flour to make it crumbly like real dirt. When the kids squeezed the dirt together, they could make little clumps and rock-like shapes. But the clumps quickly broke apart when crumbled. The kids brought out some of their favorite small toys and pretended the dirt was a desert. They spent hours making mountains, driving cars through the dirt, squeezing it into big rocks, breaking them apart again, and spreading the dirt around. I was so happy I could let them play without worrying about them contracting pin worms or something equally disgusting from real dirt. 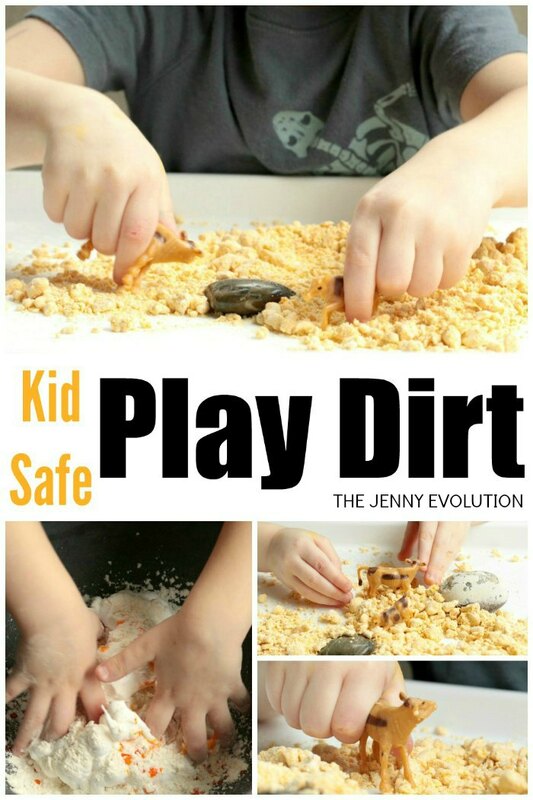 We loved our kid-safe play dirt and cannot wait to make it again! 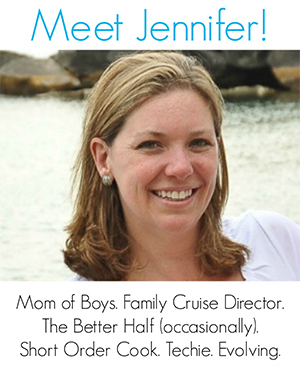 Find more kid-friendly activities on The Jenny Evolution! How fun is this! Thank you for sharing, my kids are going to love this so so much!